Below we offer some links to like-minded persons and organisations. This list is 'alive' and will grow as we come across people and organisation we want to be associated with. If you know of any organisation that should be included here, please write to us. If any link does not work, please let us know. All about rice cultures and wisdom in Asia. Why would a man in Morocco who doesn’t have enough to eat buy a television? Why is it so hard for children in poor areas to learn, even when they attend school? Does having lots of children actually make you poorer? Answering questions like these is critical if we want to have a chance to really make a dent against global poverty. Based on our work and that of many others, we try to do that in our book. This website provides supporting material: informative slideshows, material for teaching the book, supporting data, and links to researcher and organization websites. Feel free to delve in and learn more. A new world is possible! Recent global events have given us a taste of the untapped potential of people coming together in new and exciting ways using social media. A Network of Information and Exchange for the UN Permanent Forum for Indigenous Peoples. According to the IAASTD Report, agroecological farming is the best hope we have for feeding a growing population on a warming planet with limited resources. “Business as usual [a.k.a. industrial farming] is not an option,” the report asserts. A web resource for individual spiritual awakening by elucidating the deep meanings within the ancient sacred texts, which includes scriptures, mythology and poetry. To bring about a paradigm shift in the consciousness of a culture, it is mandatory that individual consciousness is modified. This is what all ancient sacred literature tried to do but unfortunately the scriptures have been hijacked into literal belief systems through a paranormal history or the mythos have been downgraded to imaginative stories. This web resource provides, almost on a weekly basis, deep interpretations of various spiritual texts irrespective of their current religious classifications. There are universal messages aimed at the very core of the individual consciousness in all such writings. Apart from short articles (usually 600 to 800 words) which are featured in the weekly Blog, there are in depth articles, seminar papers on topical issues in the spiritual domain. Please click here to read the Blog postings and click here to read present and archived Articles and Papers. The Freire Project is dedicated to building an international critical community which works to promote social justice in a variety of cultural contexts. We are committed to conducting and sharing critical research in social, political, and educational locations. The project promotes research in Critical Pedagogy, and brings together local and international educators. We are committed to continuing the global development of Critical Pedagogy and to highlighting its relevance with marginalized and indigenous peoples. The Freire Archives and International Journal of Critical Pedagogy are publicly accessible, publications will be available in both hard copy and virtually through this website. Housed in the project are the papers of seminal scholars who have contributed to the evolution of Critical Pedagogy. In addition, the project will promote research in Critical Pedagogy and bring together both local and international educators and continue its development globally while highlighting its relevance with marginalized and indigenous peoples. Critical Pedagogy is a domain of education and research that studies the social, cultural, political, economic, and cognitive dynamics of teaching and learning. Critical Pedagogy emphasizes the impact of power relationships in the educational process. Emerging in the late 1960s with the work of Brazilian educator, Paulo Freire, Critical Pedagogy has evolved as a cross-disciplinary field. Spiritual development is a necessary tool for all and every one of us if we desire to become successful in building a new, peaceful and sustainable civilisation. Every person who has gone through spiritual awakening and development can affirm this statement to be true. Our civilisation is on the path towards a much better future, but many people make a mistake in thinking that this brighter future will happen by itself. In combining the two websites: Sustainable Future Solutions and Spiritual Future for Humanity I would like to emphasise that these two concepts are, in fact, two faces of the same coin, in other words: Sustainable Future can only happen to humanity which: is mature and non-aggressive; appreciates kindness and good will; rejoices in successes of the "other"; deeply comprehends the purpose of unity; and is spiritually developed. The mission of The Ervin Laszlo Forum on Science & Spirituality is to produce new thinking and language capable of integrating the age old schism between science and spirituality. We have a moral and ethical imperative to learn about climate change / global warming, and to act appropriately and decisively. This imperative derives from people living today and all those who will follow us. We must not have future generations say, of us: "They refused to learn" or "they knew but did not act." Healthy communities, institutions and societies -- perhaps even our collective survival -- depend on our ability to organize our collective affairs more wisely, in tune with each other and nature. This ability to wisely organize our lives together -- all of us being wiser together than any of us could be alone -- we call co-intelligence. In its broadest sense, co-intelligence involves accessing the wisdom of the whole on behalf of the whole. Vision: A vibrant Earth community for future generations of all species. Mission: To live, communicate, and celebrate a story that vitalizes our sacred relationship with the living Earth. "We use the power of online community to facilitate global education, social entrepreneurship, and civic engagement for millions of youth worldwide. Founded in 1999, our award-winning www.tigweb.org is the leading social network for global citizenship, bringing together over 400,000 members with more than 22,000 non-profit organizations across 13 languages. Our TIGed program serves over 3,200 schools in 136 countries with professional development, engaging lesson plans, and collaborative global projects." The Top 100 Documentaries Inspiring the Shift to a Sustainable Paradigm. Film offers us a powerful tool to shift awareness and inspire action. It offers a method to break our dependence on the mainstream media and become the media ourselves. We don't need to wait for anyone or anything. The CSPA provides a network of resources to artists and arts organizations by gathering and distributing information from partnering information sources, and through the development of special initiatives designed to enable sustainable practices while maintaining artistic excellence. The CSPA views sustainability in art-making through environmentalism, economic stability, and strengthened cultural infrastructure. Studying systems for a humane and sustainable world. Common citizenship, currency, opportunity, education, security and no passport, no visa, no entry restrictions. In short "The Boundary Less World". For several centuries, modern industrial societies have been living off the common capital of the planet. During this period, the world’s natural and social resources have been drastically underpriced and we have amassed huge debts to the environment, the poor and future generations. It has become increasingly clear that the businesses and governments which created these imbalances are also incapable of correcting them through their present policies. Our global economic system is now in grave crisis, threatening the entire planet, its institutions and species. A new kind of common wealth is needed to protect the assets of Earth, resolve our private and public debts, and create a global society of justice, sharing and sustainability for everyone. Journalism and Communication for global change. Information is an agent of change. Since its inception, back in 1964, IPS has believed in the role of information as a precondition for lifting communities out of poverty and marginalization. This belief is reflected in our historic mission: “giving a voice to the voiceless”– acting as a communication channel that privileges the voices and the concerns of the poorest and creates a climate of understanding, accountability and participation around development, promoting a new international information order between the South and the North. Art Threat is an online publication devoted to political art and cultural policy. We write about art that seeks to interpret, influence, or reflect upon society. We discuss policy as it pertains to culture. And we showcase artists whose work inspires social change. Whether your passion is video or visual art, design or drama, music or literary musings, we’ve got you covered with a blanket of information and eye candy. Sustainlabour was founded and has grown with the belief that workers can play a fundamental role in the route to a sustainable world. Trade unions are in a unique position to stimulate the social aspects of sustainable development while at the same time can contribute to the economic and environmental dimensions. Workplaces are at the centre of production and consumption, therefore they should be central locations in any effort aimed to change production and consumption patterns at local, national and international levels. Sustainable Change. Sacrificial Living. Spiritual Revolution. In the JJB community we celebrate creative, spiritual hybridity. In an age of cultural globalization, it seems inappropriate to insist that various forms of religious wisdom remain pure and isolated from others. But the JJB community is not about spirituality alone. It is also about modern science, about seeking wisdom for daily life with help from science. When it comes to science, many of the columnists of JJB are influenced by evolutionary biology, quantum theory, relativity theory, chaos theory and by the impulse within science to let the facts speak for themselves. We know that there are no uninterpreted facts, but we believe in the value trying to be be open to facts of the the world as best we can: the facts of the universe, the facts of the brain, the facts of consciousness, the facts of experience. And also to the patterns revealed in the facts, we some people call "the laws of nature." For us there is a spirituality in this openness to the world of facts and patterns that is often unseen, even by scientists. It lies in a desire to listen to the world on its own terms and for its own sake, and to understand what is heard. Indeed, as influenced by the philosopher Alfred North Whitehead, we believe that even the mountains -- the hills and rivers, the stars and planets -- are "singing" if we have ears to hear. They are revelations of a continuously creative energy or qi. Humanity is entering upon a new phase of conscious evolution. A new consciousness demanding global responsibility and compassionate responsiveness is evolving with unprecedented intensity. Considering the present state of the world and the obvious inability of political and religious establishments to create sustainable peace and harmony, a global spirituality, fulfilling this naturally endowed potential in all humans has become an epochal need: an urgent call for connecting to the sources of spirituality, nourished from an integrative experience of union with a deeper reality. Beyond the differences among the followers of all religions and ideologies, beyond any crusted concepts, myths and morals, a new perspective reveals: a vision of deep respect for the essence of each other’s philosophical, religious or spiritual path that leads to a courageous commitment for the benefit of humanity and world community. One Community is a low-impact living model purposed to demonstrate large-scale sustainability and fulfilled living as the open source blueprints for a sustainable civilization. Our mission is to open source and free-share a sustainable sustainability model demonstrating and teaching living for The Highest Good of All. People are waking up to the practicality and promise of a new paradigm of conscious and conscientious living in harmony and cooperation with each other, our environment, and our world community. Embodying the spirit of great leaders like Martin Luther King Jr., Gandhi, and Gyatso and the ideas of amazing thinkers like M. Scott Peck, Eckhart Tolle, Buckminster Fuller, Jacque Fresco, Steiner, and more; people are converging with a common goal and opening the doors of possibility to a completely new way of living in appreciation and celebration of our diversity and ability to come together and co-create the world we want. The members of the One Community Team are people like this and we are bringing together the additional forward thinkers, visionaries, and motivated individuals ready to join us in this creation and expression of what we are capable of. The Interfaith Center for Sustainable Development (ICSD) accesses the collective wisdom of the world’s religions to promote co-existence, peace, and sustainability through education and activism. Hosted by Sohail Inayatullah and Ivana Milojevic, the site explores many futures-oriented issues. 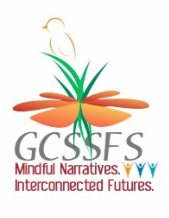 Offers a spiritually based, ecologically sound, holistic alternative to mainstream education. Related to the paradigm shift from mechanical world view to a more holistic one that is more inclusive and less Euro-centric. Anwar Fazal is a leading international civil society person. Deeply concerned about the social injustices, especially those unconscionable marketing practices by the transnational corporations in developing countries, he has strived to and has succeeded in bringing these to international attention way back in the 1970s. Network committed to social justice with ecological vision and based on engaged spirituality. Covers the work of Sulak Sivaraksa living and working for justice, peace, democracy and sustainable livelihoods. Just as the lotus blooms in a muddy pond, all people can manifest the Buddha nature--inner resources of courage, wisdom and compassion that can equip them to overcome life's challenges and lead happy and fulfilling lives. As "engaged Buddhists," SGI members aim to create value in any circumstances and contribute to the well-being of others. Their practice sparks a process of ongoing inner transformation and empowerment known as "human revolution." The promotion of peace, culture and education is central to SGI's activities. What is the spiritual meaning of the ecological crisis that now faces our precious Earth? What does it reveal about us? What does it ask of us, and are we up to the challenge? Our mission is to educate, inspire, and empower students, teachers, and the global community towards universal responsibility in the frontiers of science, spirituality, and sustainability. The ACJ Programme seeks to combine the "How To" aspect of journalism with a critical and reflective "Why" perspective which enables the young journalist to keep up with the demands made by a dynamic work environment and, as importantly, by a changing society. Punarnava Ayurveda Trust, a public charitable Trust. Committed to protecting the green cover of the land and creating a sustainable and healthy community based on the principles of Ayurveda and natural farming. Conducting regular ayurvedic medical camps, ayurveda awareness programs, natural farming, practicing energy conservation, promoting ayurvedic lifestyle advice, empowering of women in the surrounding villages and serving a global community seeking wholesome health. Our mission is to protect the diversity of nature and our quality of life, now and for the future. Our vision is that within a generation, Canadians act on the understanding that we are all interconnected and interdependent with nature. A multimedia teacher education programme: Culture and religion for a sustainable future. Everywhere on our planet countless people of different cultures and traditions work on the birth of a new culture: a culture of harmony with the wholeness of our environment. We all live and work from one Spirit, which is in everything and which connects us with all and everything. This doesn´t allow us to make inconsiderate use of things and beings -- since ultimately they are mystery. Spirit calls us to work and care for each other, not against. This is our way of spirituality. Dream Change is dedicated to creating a sustainable, just, and peaceful world -- one where all sentient beings can thrive. Strives to accomplish this mission through written materials and books; consciousness-shifting workshops and presentations; sacred expeditions and gatherings with indigenous peoples; community programs and trainings in the U.S. and abroad; specialized environmental projects and those that educate about, and preserve, traditional cultures and earth-wise values. Brings together people from various religious traditions, ages, cultures and economic backgrounds to promote a better understanding of the interdependence of ecology and spirituality. The Partnership's vision is explored through retreats, forums, seasonal rituals, wilderness experiences, programs for children, hands-on projects and education for sound environmental policies. Bioneers has served as a fertile hub of leading social and scientiﬁc innovators with practical and visionary solutions for restoring the natural systems on which all life depends, and healing our human communities. We act as a thriving source of breakthrough solutions, education, connection and inspiration. The Centre for World Dialogue is founded on the conviction that all people have the right to engage in the free and open discussion of ideas. The Centre believes that dialogue and the exchange of views have a vital role to play in the prevention and resolution of conflicts. These basic principles underpin the Centre’s commitment to promoting greater understanding and co-operation at all levels through initiating and encouraging discussion on issues of global concern. Embodied Spirituality creates, sustains and energizes choices that awakens and birth’s the ‘Eco Soul’.